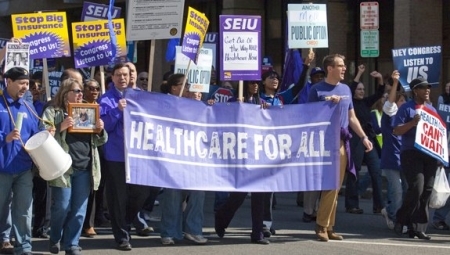 When Obama was pitching Obamacare, unions like the powerful Service Employees International Union supported him 110%. That isn’t working out so well for them. At the AFL-CIO’s convention in Los Angeles earlier this month, Loretta Johnson, secretary-treasurer of the American Federation of Teachers, said it was already happening in her union. Union members losing jobs and having their hours cut because of the socialistic health care program they supported? Unlike all the Americans who opposed Obamacare, they deserve it.